Today if you wanted to go online to play Modern Warfare 3 you will be asked to update to the latest patch. While we are unsure of the reasons for this update it may be because of the latest downloadable content which was Gulch, Boardwalk and some other Multiplayer maps. - Significantly reduced lag spikes caused when someone joined a match in progress. 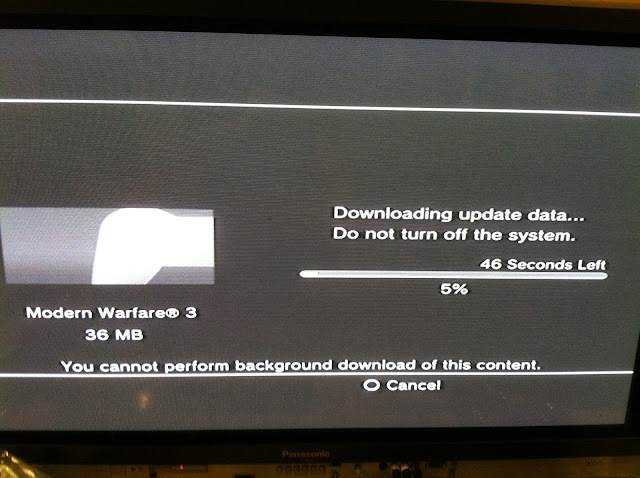 The patch weights in at 35.8MBs and soon should be Re-patched for CFW Users. As from before I will be posting the latest update data for teams who wish to get them working on Custom Firmware.